The Executive Committee (EC) of AMRO convenes a meeting in Chiang Rai, Thailand. AMRO Director Dr Junhong Chang, Deputy Director Mr Yasuto Watanabe, and Chief Economist Dr Hoe Ee Khor attend the meeting. 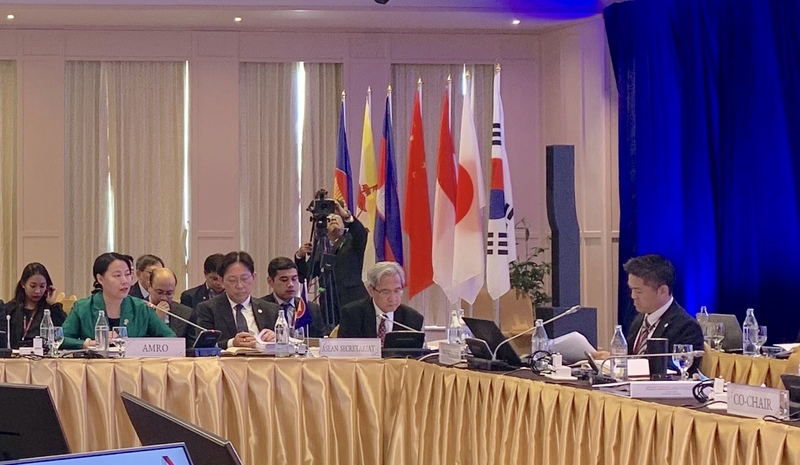 CHIANG RAI, THAILAND, April 3, 2019 – The Executive Committee (EC) of the ASEAN+3 Macroeconomic Research Office (AMRO) met in Chiang Rai on April 2 and 3, 2019. The EC comprises Finance and Central Bank Deputies from ASEAN+3 member authorities, and is AMRO’s highest decision-making body. AMRO Director Dr. Junhong Chang, joined by Deputy Director Mr. Yasuto Watanabe and Chief Economist Dr. Hoe Ee Khor, attended the meeting and presented on AMRO’s organizational and governance issues. During the meeting, the EC approved AMRO’s Annual Report 2018 and the publication of AMRO’s annual flagship report – the ASEAN+3 Regional Economic Outlook (AREO) 2019. The EC also provided guidance on how to strengthen AMRO’s governance going forward. AMRO Director Dr Junhong Chang (first row, far left) presents on AMRO’s organizational issues to the EC. 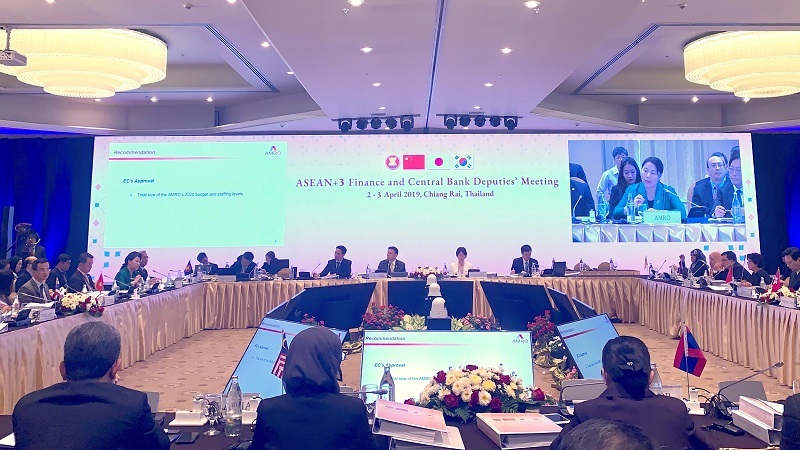 In its capacity of supporting the implementation of the Chiang Mai Initiative Multilateralisation (CMIM), AMRO also participated in and provided inputs to the discussion on CMIM-related issues at the ASEAN+3 Finance and Central Bank Deputies’ Meeting (AFCDM+3), which is generally held in conjunction with the AMRO EC’s meeting. At the AFCDM+3 informal session on surveillance, AMRO also presented its latest assessment of the short-term regional macroeconomic outlook, focusing on risks associated with the on-going U.S.-China trade tension and recent shifts in global financial conditions. On the structural front, AMRO offered an analysis of the region’s infrastructure needs and proposed ways to address existing gaps in building capacity and connectivity.